Contact Vodafone on their customer care phone number 0333 30 40 191 to upgrade your mobile handset, for broadband enquiries and to top up the credit on your pay as you go bill. Phone Vodafone by calling their customer care contact number 0333 30 40 191 to upgrade your current handset, to order a new SIM card and to switch to a pay monthly contract. Alternatively if you are calling from a mobile you can dial 191 to contact Vodafone for free, which is useful if you are having technical difficulties using the internet on your phone or if your SMS text messages are not being sent. You can also contact this call centre to report that their network is down in your local area, they will then send engineers to repair the fault in the affected telecommunications mast. This is also the main billing enquiries helpline for Vodafone therefore if you suspect that you have overpaid on your recent phone bill you can dial this number to request a refund, which is particularly useful if your children make unwanted in-app purchases whilst on certain mobile games. Calling Vodafone’s customer service contact helpline 0333 30 40 191 from a landline will cost you the same as calling any 01 or 02 area code phone number as they are charged at identical rates which are comprised of an access fee and a per-minute tariff. However if you are calling from a Vodafone handset or if you are using free inclusive minutes from your provider then you can phone them for free. Lines are open 8am-9pm every day of the week except for notable UK bank holidays such as Christmas Day and Easter Sunday. Contact Vodafone customer services from outside the UK by dialling their international phone number +44 7836 191 191 where you can make a payment towards your bill over the telephone and to check the rates of your data roaming tariff. You can also top up your pay as you go credit by calling this number which is convenient for spontaneous overseas trips. More so is the fact that you can phone them from abroad for free if you are calling from a Vodafone-registered handset, if not please note that calls will cost more than standard UK rates. If you are a Vodafone broadband customer you can contact them for free on their dedicated phone number 0808 003 4515 for technical support with slow download speeds, to upgrade to a faster WiFi package and to add landline calls to your bundle. You can also call this helpline to request a replacment router if your current one is no longer working. Alternatively if you aren’t an existing customer you can phone their broadband sales department on their freephone contact number 0808 003 4511 to get their latest prices, introductory offers and to check which download speeds you can get in your area. Contact the Vodafone business team on their commercial phone number 0808 060 0802 to get a quote for your company’s mobile and internet requirements. They offer discounts on bulk purchases on new handsets compared to personal purchases so you may save money by switching to them even if you run a small company. Please note that if your company employs ten or more people you should find the correct number from the table below. 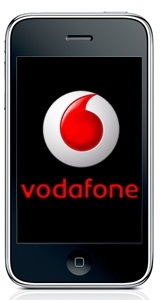 Vodafone customer care are available in a number of ways besides their telephone helplines as they offer an email service, accounts on some of the most popular social media websites and a traditional postal address. 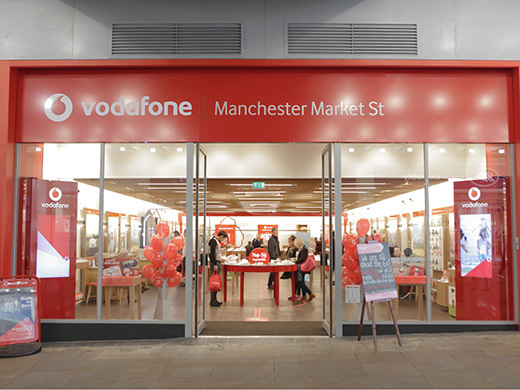 Please visit the Vodafone contact details page on their UK website to email the relevant department for customer care support, where you will also find an option to have a live web chat with an advisor. Vodafone have consistently promoted their mobile phone services through billboards and television promotions Plus they now recognise how significant internet marketing can be to their sales, therefore they operate profiles on some of the most popular social media websites. Here you may even be able to contact their customer service staff through private messages as well as public wall posts.